(Icelandic, Scandinavian) [from Wodan from odr cosmic mind; cf Greek nous, Sanskrit mahat] As a god, foremost of the aesir in Norse mythology; as a human being, the founder of the ancient Norse religion. Odin is the Great Sacrifice of our world system, hung or mounted on the Tree of Life throughout its duration, seeking runes of wisdom in the material worlds, "raising them with song" and at the end of time falling once more from the tree. He is said to have given one eye as forfeit to the matter-giant Mimer for the privilege of partaking of Mimer's well of wisdom: experience in material life. Thus matter receives a part of divine vision during the god's imbodiment. In the myths Odin rides the eight-legged steed Sleipnir, wears a blue fur coat, and is the owner of a marvelous ring, Draupnir, from which eight more drip every ninth night, symbolizing proliferating cycles of every kind. His spear is named Gungnir (swaying), perhaps an allusion to the pendulum swing between life and death which is nature's eternal way. Odin has two wolf hounds (the animal nature), Gere (greedy) and Freke (gluttonous); he feeds them, but himself subsists on wine or mead (wisdom) alone. 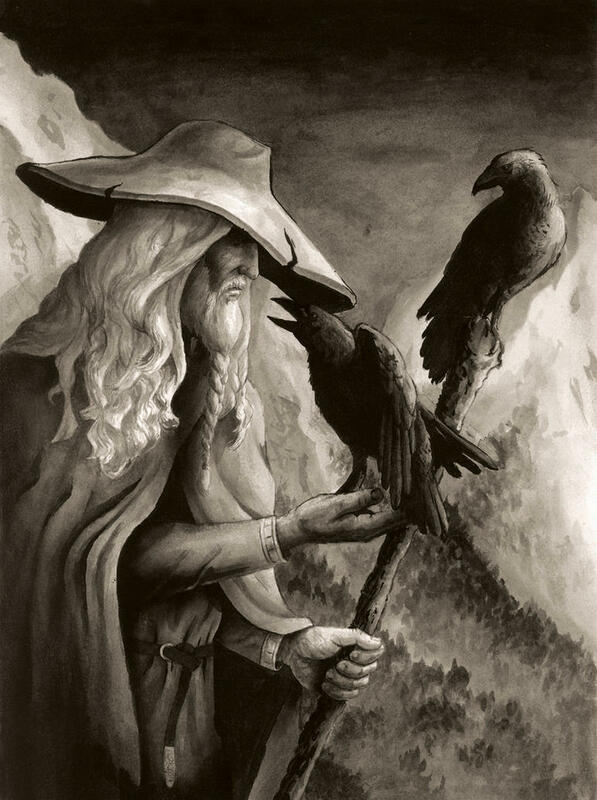 His two ravens, Hugin (mind) and Munin (memory), fly daily over the battlefield Vigridsslatten (plain of consecration, earth), and report back to Allfather by night. Odin's hall is named Valhalla (hall of the chosen), where his heroes are brought by the Valkyries (crowners of the chosen) to feast with Yggjung (the ever-young, Odin). 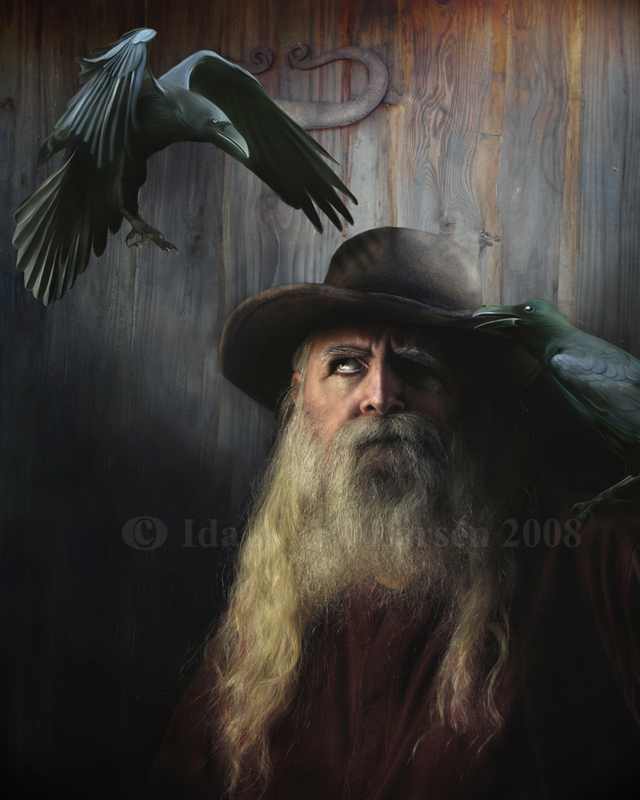 As a planetary deity Odin is connected with Mercury, and his day is Wednesday (Woden's day). He has many names, each fitting the role he has to play. At the beginning of a life cycle he is named Ofner (opener), while at the end he is called Svafner (closer). Blavatsky refers to the human Odin as "one of these thirty-five Buddhas; one of the earliest, indeed, for the continent to which he and his race belonged, is also one of the earliest" (SD 2:423). Mahat (Sanskrit) [from maha great] The great; cosmic mind or intelligence, the basis and fundamental cause of the intelligent operations in and of nature considered as an organism. Blavatsky called it the first product of pradhana, the first-born of the Logos, universal mind limited by manvantaric duration, the cosmic noumenon of matter, the one impersonal architect of the universe, the great manvantaric principle of intelligence, the Third Logos, and the divine mind in active operation. In Brahmanical philosophy, mahat is the father-mother of manas. In Sankya philosophy, it corresponds to kosmic buddhi or mahabuddhi and is called the first of the seven prakritis or productive creation, the other six being ahamkara and the five tanmatras.